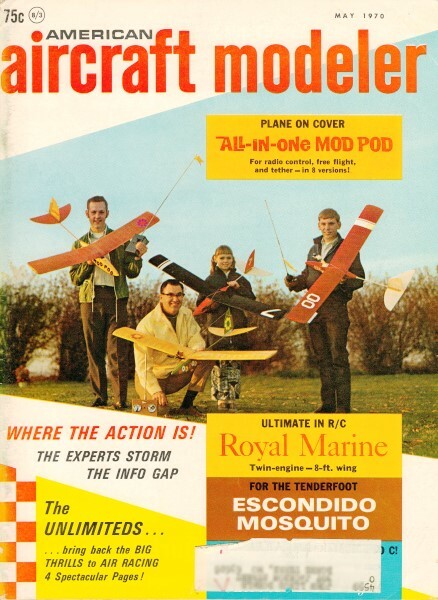 Cover Photo: A group of enthusiastic Mod Pod flyers shows of many ways to enjoy this craft. With or without an engine, fly it FF, RC (single channel), and also by tether. Transparency by Dan Brown.